WHILE WANDERING THROUGH the hall at the CEDIA (Custom Electronic Design and Installation Association) NZ Expo yesterday, I spotted these two units sitting on the Sound Group Holdings stand. JBL and Harman Kardon have been in the upper end of the iPod speaker market for ages, and these are their latest offerings in the roughly $1000 category. The big HK unit is the MS 150, which is disturbingly billed as a “sophisticated music system and alarm clock” in the product sheet. It’s a bit big to be a bedside alarm clock but it does look pretty darn good in the flesh, albeit with more than a hint of B&W Mini Zeppelin in its styling. 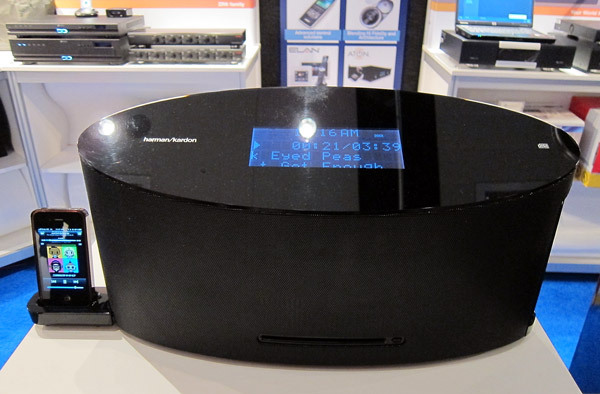 The MS 150 is more than just an iPod speaker system – there’s a slot loading MP3 and WMA capable CD player, an FM tuner, an optical digital audio input and a 3.5mm analogue input. The speakers comprise two 125mm paper drivers and two 19mm titanium domes driven by a 30 watts per channel amplifier section. RRP is $1199. 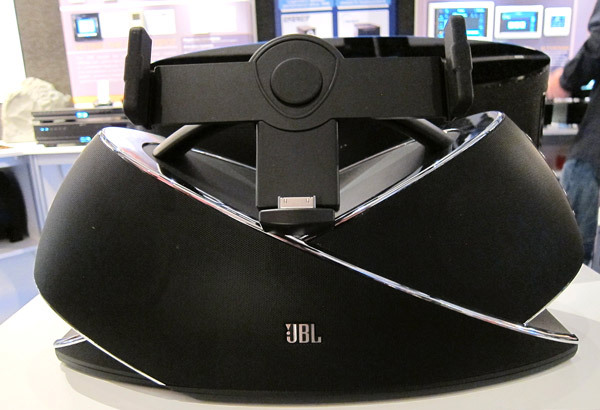 The funky looking JBL device is the Onbeat Xtreme, which features JBL’s new Weave styling. 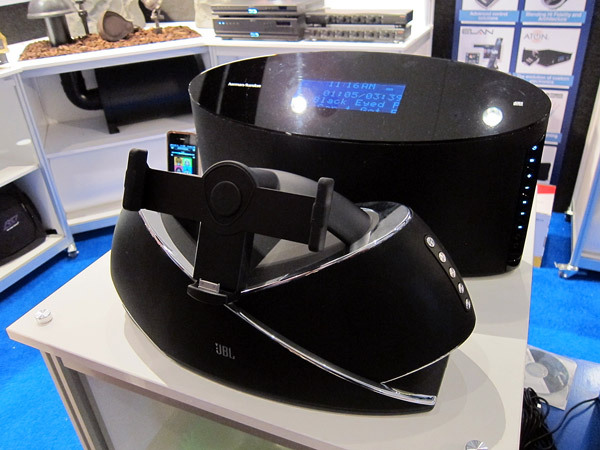 The big rotating dock on top is iPad compatible and the Onbeat Xtreme supports Bluetooth to give connectivity to non Apple devices. Speakers are two JBL Ridge tweeters and Two Atlas woofers, getting 15 watts and 30 watts respectively. RRP is $999.